The nights are lengthening and getting colder. 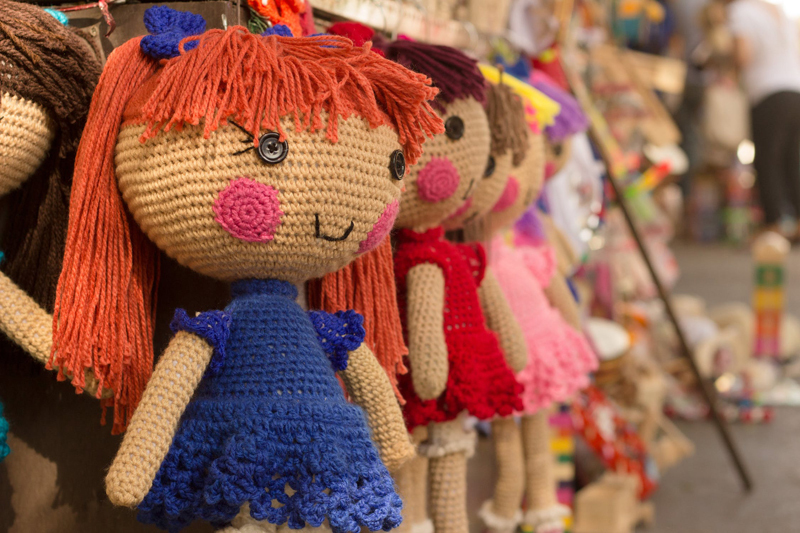 We all love to snuggle up under a cozy, warm blanket and so do our dolls. This pattern is an easy one to follow and is quick to finish since it's only 12 inches by 18 inches. It fits perfectly to tuck around an 11 to 12 inch baby doll and it's also an easy one to enlarge for larger dolls or family members as well. To create this blanket I used one 7 ounce skein of Red Heart Super Saver in soft white and 1 pair of U.S. size 9 straight needles. Any worsted weight yarn will do. Begin by casting on 72 stitches. I used the long tail method but you can use whatever cast on method you prefer. Knit across the first 2 rows. Row 1: (pattern row) knit 2 together, 3 times; * yarn over, knit 1, 6 times; knit 2 together, 6 times;* repeat from * to * 6 times; yarn over knit 1 6 times; knit 2 together, 3 times. Repeat these 4 rows for the pattern. Continue working in pattern until the blanket measures 18 inches long. Knit across 2 rows and bind off. Weave in the yarn ends and enjoy! This blanket is easy to enlarge by simply casting on more stitches in multiples of 18 and increase the number of times you repeat from * to *. Always end your row the same as in the pattern row. Try making it with some of the fluffy yarns and larger needles for a soft, lacy effect or with sport yarn and smaller needles for a smaller doll. The possibilities are endless. Matching blankets for a little girl and her doll is a great gift idea for the holidays! Since this is such a small project it would also be fun to make it party colored by using up any scraps of yarn you may already have on hand. When made to this size these blankets can also be donated to hospital Labor and Delivery units for use with preemies or also for wrapping a very small miscarried fetus for the family to hold.This is a real comfort not only to the families but also to the staff nurses when these blankets are available for use.